On the scale of rare to hardly ever, once in a while I'll say yes to a previously-unknown (to me) author asking if I might read his or her work and post a review here, largely because I'm interested in seeing what he or she is offering that may be potentially new to the crime-fiction world. I'm not a writer, but I think I can understand how difficult it is for people who are and who are not in what I'd call "the big leagues" of crime-fiction writing to get their names out there. 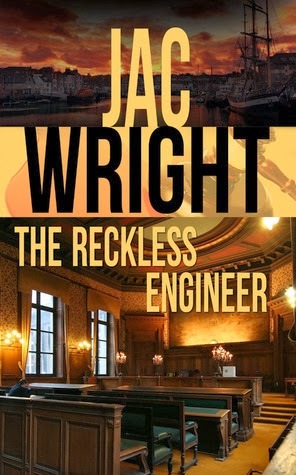 The Reckless Engineer is by Jac Wright, an author whose work I've never read before, and I was tempted to say yes because he's a UK writer. The book is a murder mystery that takes place in Portsmouth, offering a wide range of suspects in the death of a bitchy and witchy engineer's mistress. The main suspect is her lover Jack, who may be a total jerk who doesn't seem the type to have a propensity for murder in his blood. There is a lot of action in this novel as his friend Jeremy tries to prove that Jack didn't do it, there's a fair amount of subterfuge and untrustworthy characters, and well, as one reviewer put it, it has "everything-but-the-kitchen-sink." When Jack Connor's current lover is killed (and I say current because Jack has a habit of sleeping around despite the fact that he's married), all signs point to Jack as her murderer. He has a lot to lose besides his reputation: he's married to Caitlin, the daughter of a rich and powerful industrialist whose money makes it possible for Jack to live a good life. Jack immediately calls best friend Jeremy, who gets his attorney Harry to take Jack's case. As the legal process swings into high gear, Jeremy overhears a phone conversation between Caitlin and an unknown person named K.C., and starts to wonder if it's possible that Caitlin may have had something to do with Michelle's death. After all, both she and her father knew about Jack's little bit on the side, and Caitlin is a perfect suspect. The conversation sparks Jeremy to do an investigation on his own while Jack's fate hangs in the balance, but soon he realizes that there were a lot more people who may have wanted to get rid of the dead woman. He certainly has his work cut out for him. It's a plot directly up my alley, and the choice of murder weapon (a box of poisoned chocolates) is intriguing, since really, anyone could have left it for the dead woman at any time, opening up the possibilities of more than a single suspect. This approach is always a plus in my mind, probably hearkening back to my love affair with Agatha Christie and the way she set up her novels so that you have to wait until the end to find out the who. The action starts quickly, getting the reader involved at the outset as the author doesn't wait long at all to start planting seeds of doubt about Jack's involvement. At the same time, I had a number of issues with this novel that made it a sloggy go in some parts. First is the author's use of language. As a single example, there are a number of times that he uses the word "shall" in dialogue between characters that comes across as stilted and unrealistic in context. Second, there's so much exposition in this story that could have been better applied, woven into normal conversation so that the background info comes out more naturally. But my biggest objection is as follows: while I won't reveal the ending, I thought that Mr. Wright made a very crucial error here, waiting until the last few chapters to provide background and detail on the murderer. I mean, the information about the killer should have been established more evenly throughout the book rather than piling it all on at the end, because then, duh, you know who the killer is before you get to the big reveal. I was so disappointed! To his credit, the author does keep you guessing up until that point, but I've never ever seen this kind of thing done before, and I've been reading crime fiction since before I was a teen. He might as well have put up a neon arrow pointing to the killer at that point. The plot's introduction was quite well done (other than the use of the word "shall" so many times), the middle was very tough going due to the introduction of so many new characters and plot points, and then it picks up again toward the end. But once I got back into the groove of the read after the sloggy center and wanted to know the identity of the killer, with the above-mentioned error, things were kind of wrecked for me, although I will say that the actual "how" the murder was done was pretty ingenious. 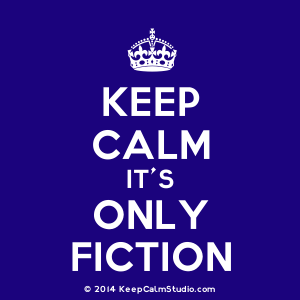 Finally, in my opinion, and really, I don't suppose that means much to anyone but myself, if someone is going to write crime fiction, it needs to be very tight in terms of plot, and especially in how the author controls the scene, the characters, and the denouement. I didn't find that here -- there were always some new angles thrown in, which is okay, but there should be some sort of subtle clue at the beginning as to where the author is going to take his readers. There is just way too much going on here to make the novel really pop, which is a shame, since the story itself has a lot of potential. Personally speaking, I'd certainly give this author another try, especially if he takes tighter control over his work in the future. The book could have frankly benefited from more judicious editing, but he can weave a good yarn that is interesting enough at its core to keep you reading. Then again, I'm super picky when it comes to crime, since I've spent so much of my reading life glued to murder mysteries, and I consider myself a tough audience. My many thanks to the author for the opportunity to read his work. Nancy - I give you a lot of credit for understanding how difficult it is for authors who aren't 'household names' to get the word out about their work. It's not easy. At all. Thanks for sharing this novel. Parts of this really do sound very well done. Well, I think it's probably safe to say that the "big league" crime writers weren't always big names and had to start somewhere! I'm not planning to review every book that someone asks me to, but sometimes you get a winner -- take Ben. H. Winters, for example. He emailed me, sent an e-copy, and I ended up reading both of his crime novels and loved them. You just never know. Did you read Salvation of a Saint? Ingenious murder method, which unfolds through the book. The who isn't so mysterious, but the how is quite brilliant. I read the one before that, but I haven't cracked that one yet. Aaargh! This remodel is a freakin' time sucker! 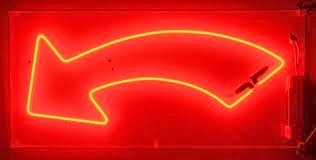 The "neon sign" two chapters just before the end in the POV of the murderer IS the actual Big Reveal. The mistake you made is in thinking I am trying to hide the murderer at that point when I am in fact doing the Big Reveal to the reader. This technique is famously used in the Columbo series, where the murder and its execution is presented to the reader/viewer the very beginning in the murderer's POV, but not to any of the other characters in the story. I do this big reveal to the reader at the very end, in the culprit's POV, and this will be a unique and signature feature of this series. I should put a note that the book is written in Queen's English and set in England where the educated and the posh take pride in using very proper and correct "Queen's English" such as the use of "shall" and "should" with "I" and "we". You will notice if you observe carefully that the upper class "posh" characters always use the Queen's English, whereas the lower class characters don't; and the people in the middle, like Jeremy, use it when conversing with the upper class people, but don't when conversing with the lower class people at times in order to establish more empathy. Lots of crime fiction novelists do indeed start with the description of the murder, and some even reveal up front who the actual murderer is, and then leave the reader to see how the police or whoever make the connections to solve the case. Neither of these situations apply here, and speaking personally, when I've invested time without knowing who the killer is throughout the novel, especially with so many potential suspects, I really want to be surprised. However, that is obviously a personal bias, and as you say, it is most definitely unique. Thanks so very much for your thoughts, and I do hope your book does very well! I meant that your big reveal style is most definitely unique. The Big reveal IS the end surprise and that is why it is just before the last 2 chapters. The last two chapters are just tying up the loose ends. It will always be like that. The reveal will come just before the last chapter or two in the murderer's POV, leave the last chapter or two to tie up those lose ends and set up the scene and the characters for the next book in the series. Although they would vehemently deny this, language and accent is a big class identifying factor in certain circles in Britain, something that modern Americans would be unfamiliar with and appalled at. Here's what I think -- you certainly have the right to write your endings the way you see fit. I personally didn't care for how you did it in this book, but that's on me. IMHO, the timing was off, but again, that's just my opinion. And as I noted, I'm very picky when it comes to crime, since it's the genre I read most. But it's definitely nothing personal; hell, I didn't particularly like Jo Nesbo's The Redeemer. It seems that you are implying that I am only comfortable with formulaic, which is not the case, as anyone who reads what I write here knows. Rather than belaboring the point, I'll just once again wish you well and ask you to remember that when I write about a book, it is an opinion, not a personal slam against its author.